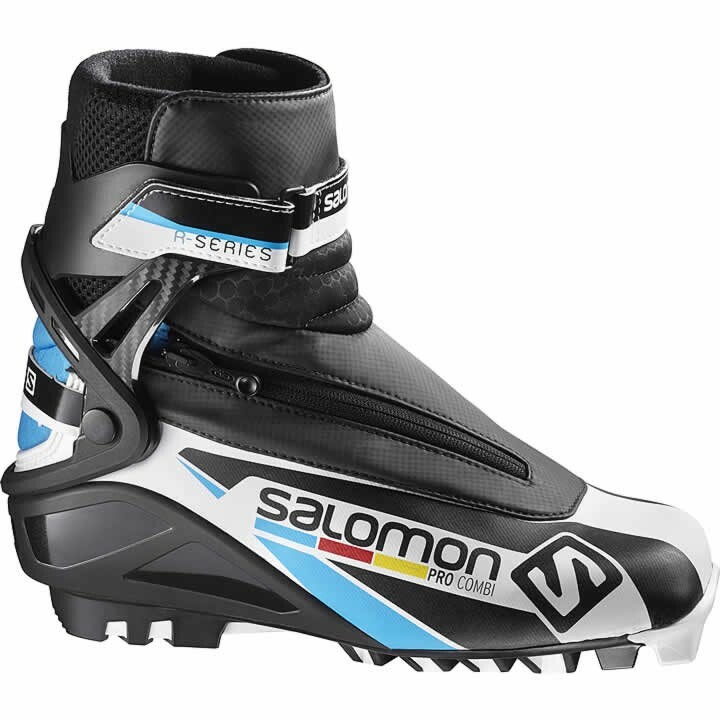 Ideal for newer racers, the Salomon Pro Combi ski boot delivers support for skating but a flexible sole for classic, and elevates fit with Custom Fit and dissociated lacing. SNS Pilot 2 Sport: Technical and responsive performance outsole. Pivot point is located 10mm behind the boot's front edge to be closer to the metas. New materials in order to guarantee a perfect supple classic flex. Molded Heel Counter: Heel hold for stability and full power transmission. Pebax heel envelopment.